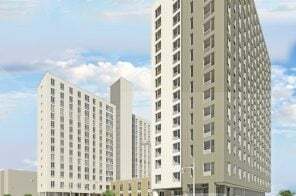 While applying for affordable housing lotteries in a city with millions of applicants seems daunting, paying below-market rent in New York City is enough of an incentive to persevere through the process. Especially since it’s not totally unattainable. 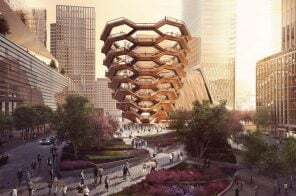 The New York Times reported on Friday that in 2018, the odds of winning an affordable apartment through a lottery were 1 in 592. Those are actually better chances for those applying now rather than for applicants in 2016 when the odds were about 1,000 to 1. 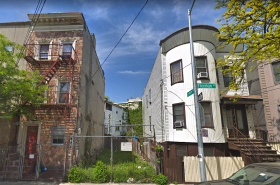 Plans for a seven-building affordable housing development in Brooklyn’s Brownsville were released this week, as part of the city’s revitalization effort in the neighborhood. 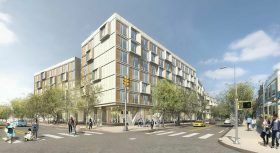 As part of the “Brownsville Plan,” the proposed project includes eight-to nine-story residential buildings with new retail and community space along Livonia Avenue. 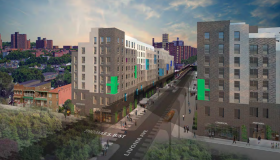 The project would extend the existing Marcus Garvey Apartments, a housing complex built in the mid-1970s that currently has many underutilized parking lots (h/t YIMBY). 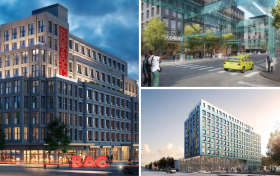 Overall, the more than 900,000-square-foot development will bring over 840 affordable apartments, currently estimated to be set aside for New Yorkers earning 80 percent or below the area median income. 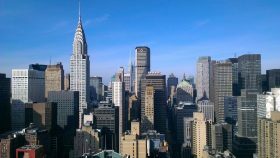 Finding and applying for affordable housing in New York city can be a challenge for anyone. 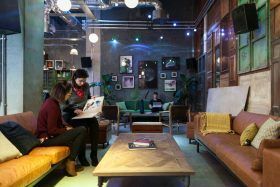 The application process can be confusing and daunting for those who need it most. 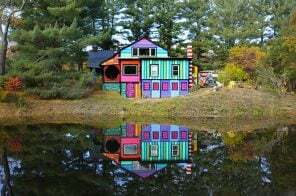 Today the city’s Department of Housing Preservation and Development (HPD) and Housing Development Corporation (HDC) announced new guidelines for the process that are intended to help provide access for low-income residents and protect people who have survived domestic abuse. The Department of Housing Preservation and Development on Wednesday released an interactive map of housing lotteries currently accepting applications. 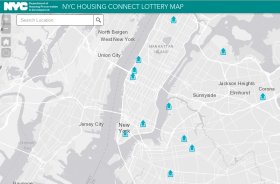 Users can click icons displayed on the NYC Housing Connect Map for more information on a lottery, including required income levels, household size and the application deadline. 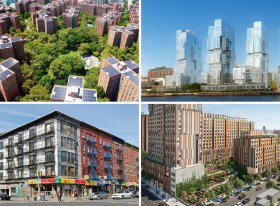 Earlier this week, the department launched a map that displays all of the affordable housing units, buildings and projects which count towards Mayor Bill de Blasio’s Housing New York 2.0 plan. 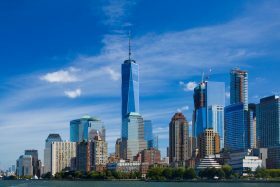 In addition to upping the number of affordable housing units created or preserved in New York City, Mayor Bill de Blasio is pushing for greater transparency of his ambitious plan to bring 300,000 affordable units to the city by 2026. 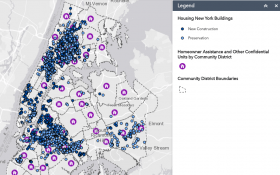 The Department of Housing Preservation and Development (HPD) launched an interactive map on Monday that displays all of the units, buildings, and projects that count towards the mayor’s Housing New York 2.0 plan (h/t Curbed NY). The counted units, with data starting with units from January 1, 2014 on and will be updated quarterly, are shown by the number of units and occupancy size.